Vanessa Pérez Cedrón was born in 1988 in Lugo where she finished Lab Technician in 2009. Since then she is supporting the group as a Lab Technician, with expertise in Zebrafish maintenance , PCR , BAC library, NGS (454-Junior, Roche) and CRISPR/Cas9 edition. In 2016 she obteined the Nurse Bachelor Degree. 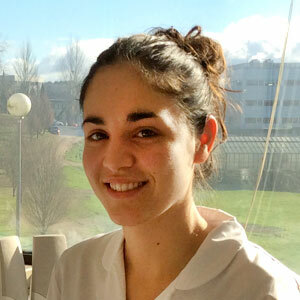 In nowadays she is developing her masters project which focuses on the analysis of rutenium drugs toxicity and gene expression in zebrafish embryo under the supervision of Ph.D Laura Sánchez and Ph.D Manuel Vera.